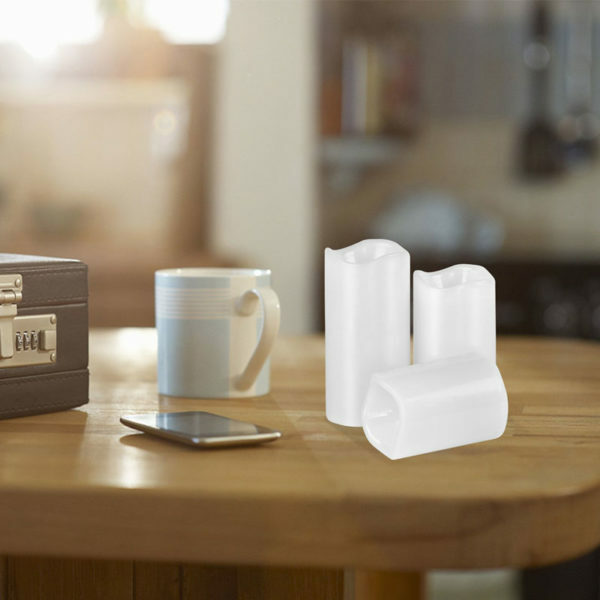 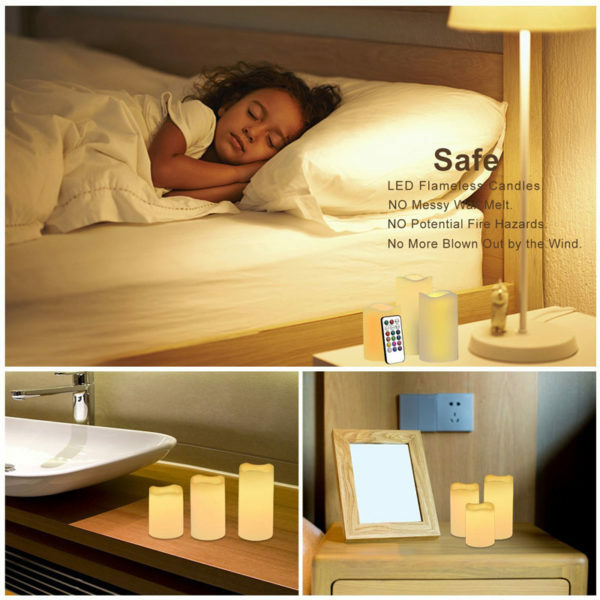 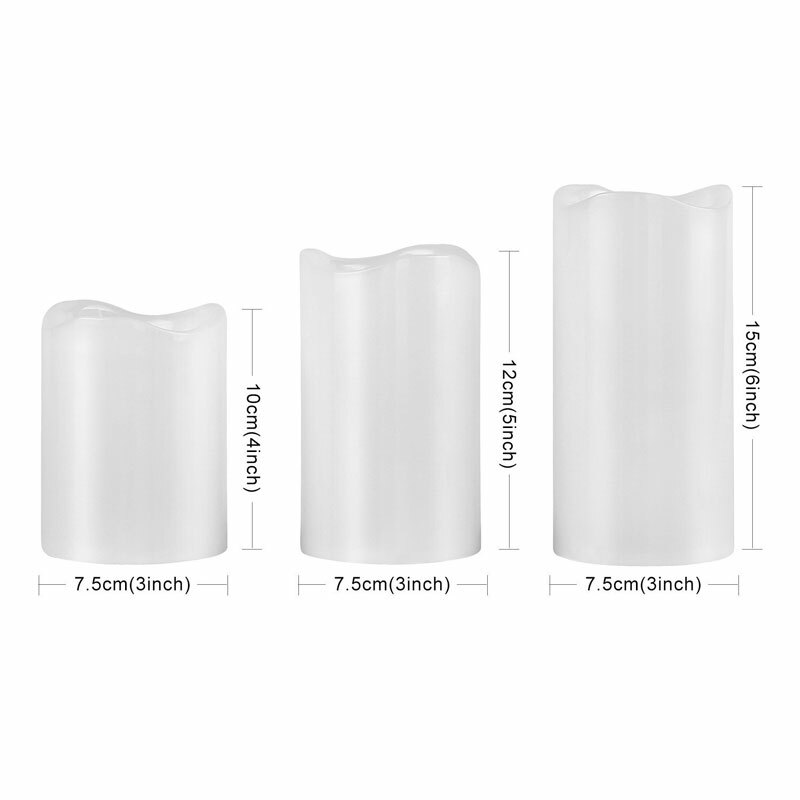 Safe LED Flameless Candles – Made of durable lightweight white plastic,no messy wax melt or potential fire hazards,no more worries for wind,safe to use everywhere. 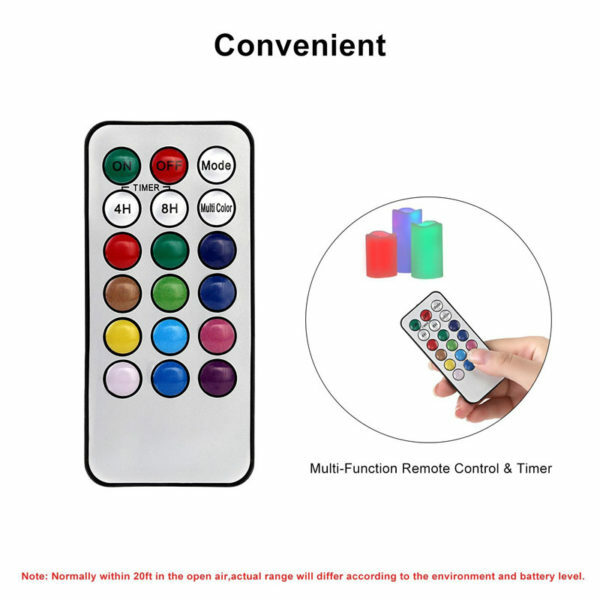 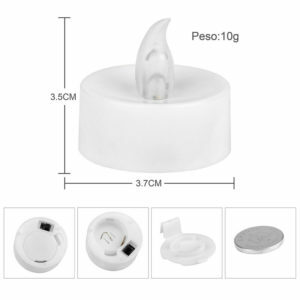 Convenient Remote Candles with Timer – Within the range of 20 ft,you can use 18-key remote/timer to set your desired color or light mode for 4 or 8 hours. 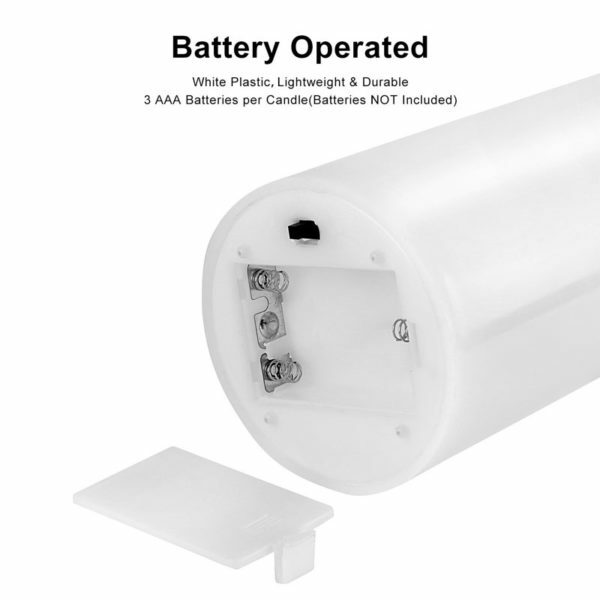 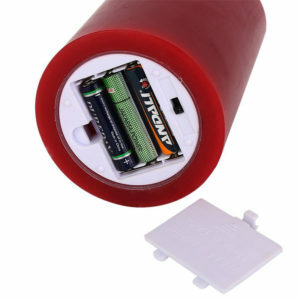 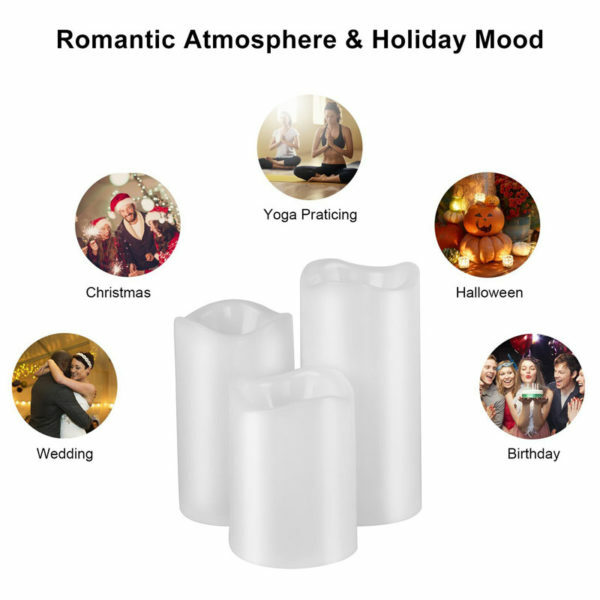 Portable Battery Operated Candles – Powered by 3 AAA batteries(NOT included) per candle,easy to carry around and set them up for a special occasion. Beautiful Color Changing Candles – Glamouric Flameless Mooncandles could be set with 1 of the 12 colors or choose multi color mode,they will rotate through all 12 colors and make your night colorful and fun! Perfect item to create a romantic atmosphere and holiday mood,widely used for Easter,Halloween,Christmas,birthdays,weddings, yoga practicing, celebrations,home decorations and many other similar occasions. 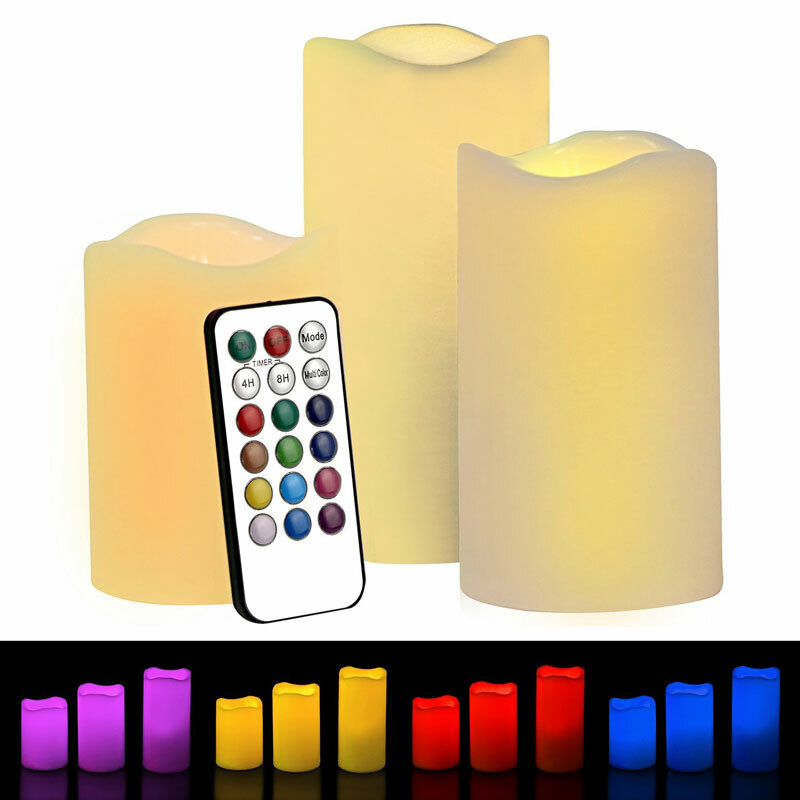 LED candles are smoke-free,you can leave it with your children and pets even when they are near curtains,beds or your fancy imported sofa. 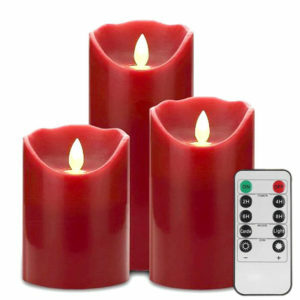 This set comes with a 18-key remote control/timer,you can command them as long as they are within 20 ft.
Each candle requires 3 AAA batteries(NOT included),you can easily to find the batteries in any grocery store. 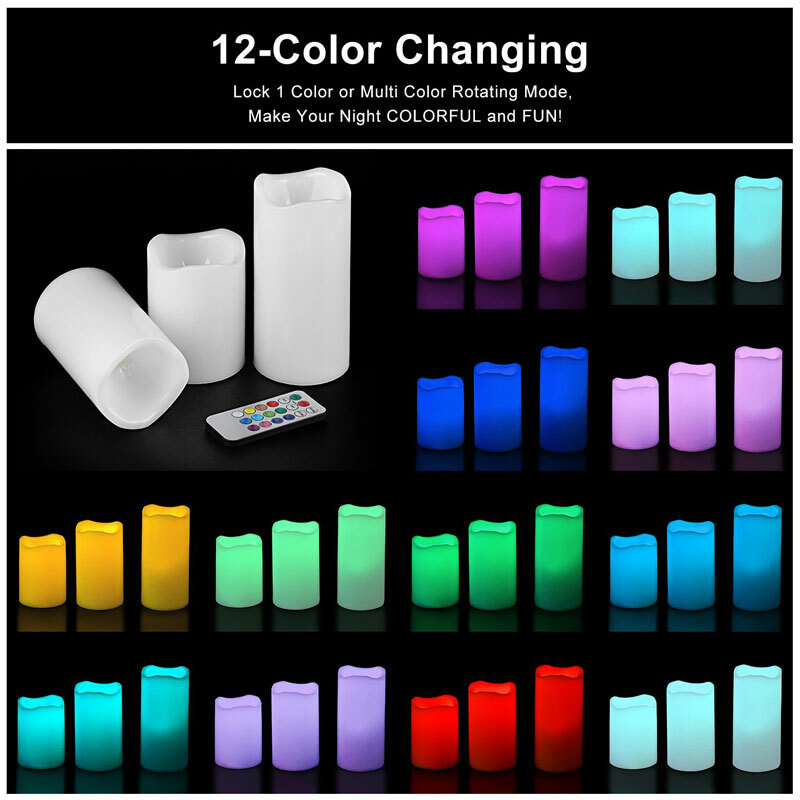 When powered up,there are 12 colors per your choice. 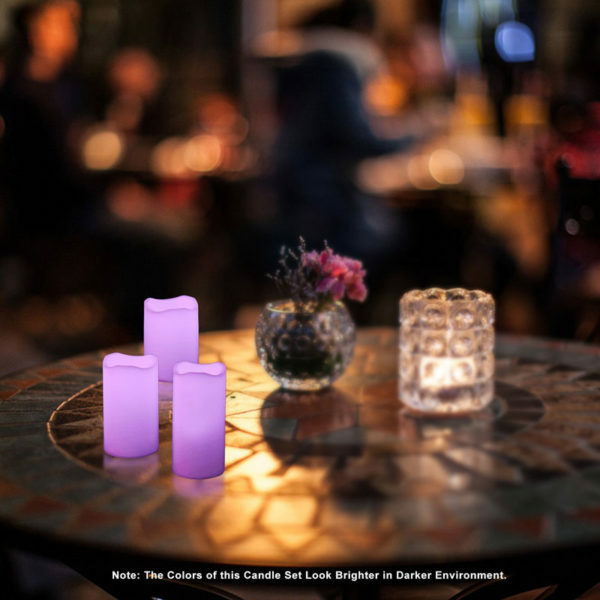 Lightweight ,you can easily to set a romantic dinner under a starry and breezy summer night. 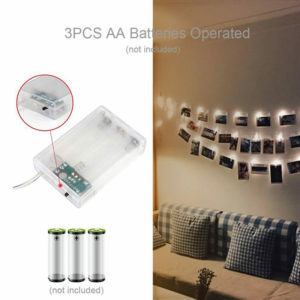 Night light for bedrooms,living room,bookshelves,even on chandeliers. 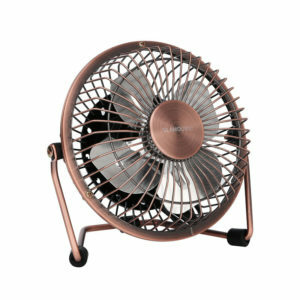 1.Please do NOT put it in/under water or leave them out in the rain. 2.Remember to take out the insulator on the remote control before use. 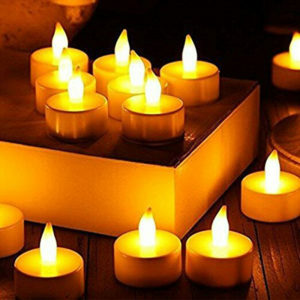 All of our candles are well tested before dispatch,if you encounter any problems like one of them doesn’t work or die after a short amount of time, please contact us, a proper solution shall be presented accordingly.